When going deer hunting, it’s best to be equipped with a weapon that suits your taste. Considering that the weapon is an extension of your arm, you have to make sure that the weapon you are carrying is the most comfortable for you. Choosing a weapon because someone told you to won’t necessarily lead you down the road of success. In deer hunting, there is no such thing as a perfect weapon. Each has its own specific strength and weaknesses, and the hunter who knows these will definitely bring down the first deer he comes across. Here we discuss the top 3 weapons used in deer hunting. The prominent weapon of choice for every deer hunter in the wild is the ever-famous rifle. Considering its range and firepower, this is by far the most effective weapon in bringing down the strongest of bucks. This is also an ideal weapon for beginners who are on their first try at deer hunting. The most common distinguishing feature of the rifle is its long-barrel which is attributed to its range. But considering its firepower, it also has a lot of weaknesses that any novice hunter should know about. One such weakness is its noise level. When using the rifle, it is customary to bring down the buck on the first try, if you miss, the buck will be alerted to the sound emitted by the rifle and you might not get a second chance at it this is the second weakness, reloading. The rifle only allows one bullet at a time, so after the first shot, its takes a lot of time to reload. 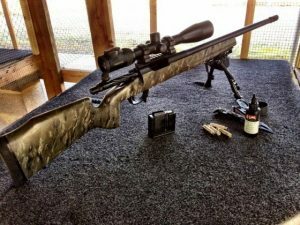 With these two weaknesses to offset the power and range of the rifle, you have to make sure that the first shot counts. 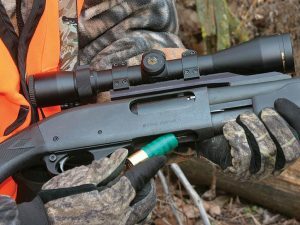 A 12-gauge shotgun has no qualms when it comes to reloading since it can hold a total of four rounds before reloading. Its has a lot of firepower but lacks the range to back it up, so you need to get close to your target to make sure that you don’t miss. It is also in the same category as the rifle when it comes to the noise level, so you better make sure that the first shot counts, or else you are going to play a game of tag with the buck when you miss. This compound bow is definitely not for beginners, and is considered the most difficult weapon to kill a deer. The range and power of the bow is limited and you might need to utilize your surroundings if this is your weapon of choice. The power of the bow differs with the accuracy of the hunter. Aside from that you have to be quite near to your prey to make sure that you have enough force to embed the arrow in, you have to make sure that you hit the buck at the most critical spot, like the neck, to bring it down. The range is also limited and most professional hunters resort to climbing trees to get a better shot of the prey. Using a deer call or a rattle to lure out the buck from hiding is practically the best maneuver when using a bow. But you need not worry if you miss the first try since the bow hardly makes a sound when fired, so you are free to take another shot when the buck is rooted on the same spot. A wise hunter was asked by a novice regarding his weapon of choice for a successful deer hunt. The hunter simply shrugged and said: son, there is no weapon that comes to mind that can hit a buck without a steady hand and a rightful aim from a skilled hunter.